Peeps visits the Birmingham Public Library to research his family history in Genealogy or Looking For One's Own Peeps. 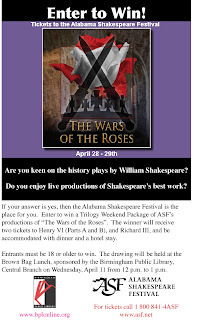 On April 11, 2007 at noon in Central's auditorium, Alabama Shakespeare Festival scholar, Dr. William Hutchings, will take us on a journey of intrigue, family feuds, lies and deceit in the “Wars of the Roses” plays written by William Shakespeare. Despite his bias in favor of the House of Tudor and the liberty he has taken with the Wars’ chronology of events, Shakespeare’s masterful historical plays have become accepted as history. A drawing for a weekend for two in Montgomery will be held during the program. The weekend will include tickets to three plays at the Alabama Shakespeare Festival, dinner and lodging. You may also register online for the drawing. 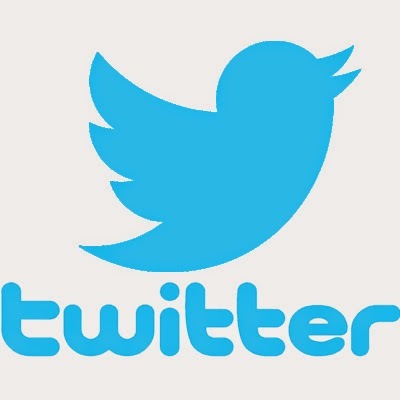 If it sometimes seems as if the world of technology is just too much then you’ll identify with the “Balancing Act”! How can one computer cause so much trouble? Come find out as the Seasoned Performers present their newest one-act comedy play, The Balancing Act, at Five Points West on Wednesday, April 25, 2007 from 11 a.m.-1 p.m. Please call the Five Points West Information Department at 226-4015 to register in advance. A light lunch will be served along with the play. Find out about other events offered at the library here. Urban fiction. Hip hop fiction. Gangsta literature. Ghetto lit. Street lit. What once had no formal definition now has many names. Urban fiction is defined by its location of the urban environment and its subject matter of poverty, racism, gangs, drugs and prostitution. The characters are African American or sometimes Latino who speak in the tough vernacular of street speak. Thus Mary Monroe and Terry McMillan do not write urban fiction; Terri Woods and Iceberg Slim do write urban fiction. 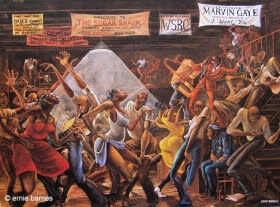 Urban fiction was never really considered legitimate literature and was not taken seriously by publishers. This changed when Terri Woods began selling copies of her book True to the Game (1994) out of the trunk of her car, and word of mouth helped the book sell more than 200,000 copies. Since then urban fiction has been flying off the shelves. Provocative covers and exciting plot lines attract scores of readers. I've worked in the Fiction Department for eight years and have seen its popularity steadily increase. It doesn’t look like it's slowing down any time soon. I must admit that the only thing keeping me out of the Birmingham News in yet another road rage story are the audio books I download or check out from the library. Listening to audio books while fighting rush hour traffic on 1-65 is my equivalent of counting to ten. Anyone remember the actress Blair Brown from The Days and Nights of Molly Dodd, circa 1987? Ah, my dependable Saturday night date. What a sweetheart. Anyway, I just finished listenting to the audio book Digging to America and I must say that Blair Brown’s rich voice reading Anne Tyler’s exquisite phrasing are a match made in heaven. Digging to America tells the story of two couples, one American and the other Iranian, who meet at the Baltimore airport as they await the arrival of their adopted Korean baby girls. From this day forward their lives intertwine in a clumsy but satisfying way as their children grow and they reach out to embrace each other’s cultures. Who knew Blair could do so many voices? Bitsy’s aggressive American voice; Dave's forlorn voice; Maryam’s controlled and Ziba’s timid, heavily-accented voices. It’s like I’ve got my own personal theatre inside my car. The only other voice to captivate me so was Sally Darling’s reading of To Kill a Mockingbird. But that’s another review. Take Blair along for the ride and keep the roads safe. The Birmingham Public Library introduces a new service with the ability to search once for all relevant citations, eliminating the need to repeat the same search in each separate database. Research Pro, a federated-search product, uses sophisticated technologies to search across most of the Birmingham Public Library’s databases and the library catalog. Patrons can search all of the 52 databases at once or choose from seven subject categories for a more specific list of magazine articles, encyclopedia entries, books, images and much more. It is also possible to search an individual database such as HeritageQuest, the Birmingham News, the Oxford English Dictionary, Grove Art Online and Health Source Plus. Birmingham Public Library and The Literacy Council have partnered together to present a new program for adults (ages 18 and over) who want to improve their reading skills. The program Ready to Read takes place at Five Points West Regional Library on Tuesdays from 6:00-7:30 p.m. and on Thursdays from 10:00-11:30 a.m.
For more information contact The Literacy Council at (205) 326-1925. As you’re enjoying your Irish beer this St. Patrick’s day, drink a toast to Ireland’s writers. The small country of Ireland has produced more than its fair share of the world’s great literature. Long before Jonathan Swift and James Joyce, there were the oral storytellers and their tales of heroes and kings, and battles lost and won. Irish literature is infused with the hardships of the Irish people and the wit and humor by which they have survived since the first inhabitants settled the land around 7000 B.C. 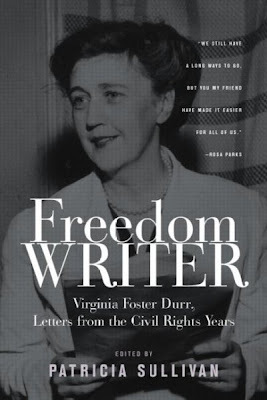 Virginia Foster Durr was born in Birmingham, Alabama, in 1903 to a life of privilege - if not money - and white southern tradition. She gradually stepped out of her ancestral “magic circle” to challenge the institutionalized inequality she saw outside it. Nourished by conviction, intellect, and courage, Mrs. Durr grew into her role as an activist by increasingly confronting the legal and social injustices that oppressed women, the poor, and blacks. When she and her attorney husband Cliffford Durr moved to Washington, D.C. in 1933, they benefited from the influence of their brother-in-law Senator Hugo Black and found themselves allied with the political architects of Roosevelt’s New Deal, the labor movement, and civil rights. While raising a family at the same time, Mrs. Durr lobbied in the 1940s with Eleanor Roosevelt to abolish the poll taxes that blocked the poor from the ballot box. In1948 she ran for the U.S. Senate in Virginia on a platform to direct tax money toward a better standard of living for all Americans. When the Durrs moved to Montgomery in the 1950s, they joined the NAACP and Mrs. Durr became a member of an integrated women’s prayer group. In Montgomery the Durrs were visible and vocal supporters of the bus boycott, went with E.D. Nixon to bail Rosa Parks out of jail, and housed civil rights organizers and students working in the South in the 1960s. The Durrs had struggles of their own - social ostracism, Klan intimidation, FBI investigation, and financial strife - but as Mrs. Durr says in her autobiography Outside the Magic Circle, “if you don’t believe in what you are doing, why do you do it? You don’t get anything out of it. You certainly don’t get fame or glory or money or high position. You just do it because you believe it is right.” In her later years, Mrs. Durr stayed active in state and local politics and was honored for a lifetime of moving history forward. When she died in 1999, she had lived 95 years doing what she thought was right. Mayor Bernard Kincaid's West End Branch Library's grand opening speech is available on BPL@YouTube. Also included are comments by William Gilchrist, Director of Planning, Engineering and Permits. BPL @ Nite and Catalyst present Muse of Fire performing excerpts from Shakespeare's Henry V this Thursday March 15 at 6:30 p.m. in Central's atrium. Hope to see you there! So many spotlights get turned on new books, so I’m going to review an older book that recently wowed me. Michel Faber’s first novel is so unlike his second, The Crimson Petal and the White (2002), that I’m still reeling. And then the questions begin. Specimens? Where is she taking them? Is the slight, big-bosomed woman in Mr. Magoo glasses not who she seems to be? Faber drops hints like little bread crumbs in each chapter about Isserley’s mission and what’s going on back at the secluded Ablach Farm, leading us to the cataclysmic ending. Along the way the rights of women, animals and the working class are tenderly studied in a book that’s been compared to Aldous Huxley’s Brave New World and George Orwell’s Animal Farm. The latest edition of the Linn-Henley Research Collections Newsletter (pdf) is now available for viewing. Learn the basics of ikebana in this “hands-on” workshop. You can create arrangements of elegant beauty using just a few simple elements. Instruction will be led by Jessie Bean, President of the Ikebana International Jefferson County, Chapter 137. Advance registration is required. A supply fee of $25 is payable to instructor on day of class. For registration and information, contact Haruyo Miyagawa at (205) 226-3670. Meryl Streep is so good at making me cry, it’s easy to forget just how many times she’s made me laugh. Streep is a natural comedian and shines in movies like She-Devil and Postcards from the Edge. Her breathy “I’m a girl!” line in Death Becomes Her was worth the price of admission. And here she is in The Devil Wears Prada, a wickedly funny behind-the-scenes look at the dog eat dog world of high fashion. Adapted from Lauren Weisberger’s bestselling novel, it tells the story of aspiring journalist Andy Sach’s adventures as dragonlady Miranda Priestly’s second assistant. The comedy ensues as Andy attempts to follow her boss’s impossible orders, which include procuring not one but two copies of the unpublished Harry Potter Book 7, and to “find me that piece of paper I had in my hand yesterday morning.” In the end both have benefited from knowing one another. Andy has more respect for the fashion world than before she arrived at Runway magazine, and Miranda has let her soft side show a time or two. I’ll be reaching into my pocketbook to buy this movie for my own collection. It will sit in a place of honor next to my copy of Sophie’s Choice. For more Meryl, search the JCLC catalog. The new horror novel Heart-Shaped Box is written by Joe Hill a.ka. Joe Hillstrom King a.k.a. Stephen King's first born son. The ghost story has a contemporary haunting feel to it, probably because the ghost is won on an eBay auction. Judas Coyne, an aging heavy metal rock star, bids on a haunted suit and discovers too late that the suit's deceased former owner is included in the deal. When Coyne discovers that the ghost was the stepfather to one of his discarded groupies and he is out for revenge, Coyne and his latest groupie throw the dogs into the Mustang and head south, looking for a refund and redemption. Heart-Shaped Box reminded me of Stephen King's earlier and better works, and I can't wait to see what dark road Hill's imagination takes him--and us-- down next. Although Heart-Shaped Box is Hill's first novel, it is not his first book. 20th Century Ghosts (2005) is a collection of fourteen short stories that won an International Horror Guild Award for Best Fiction. This book is available through Interlibrary Loan.